Sweet onion supply has now transitioned to Peru, after the US began imports from there less than a month ago. The Peru season will continue until February next year, before turning to Mexico for the two months before Georgia starts again. Volume in Peru is down slightly as cloudy weather prevents more vigorous plant growth. Sizing is also on the smaller side for now. 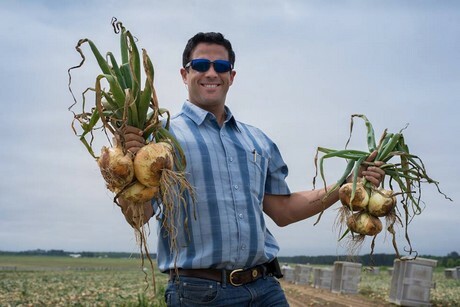 "The growing conditions in Peru this year have been unusual," said Omar Cruz of Bland Farms. "There has been a lack of sunshine hours resulting in smaller sized onions and a lower yield. It's a rather average crop at the moment. Daylight has been limited and the amount of cloudiness has affected the first third of the Peru crop. The next two thirds look more promising though as more sunshine is predicted as Peru enters its summer season." The sweet onion market has been very low but Cruz noted that since the start of the Peru season, there has been a slight recovery. "The Vidalia sweet onion market had lower pricing than normal this season, but it looks like pricing is starting to pick up for the Peruvian season," he observed. "Currently demand for onions is good and pricing is averaging around $18.00." With Vidalia onions so well promoted, it is interesting to note that the sweet onions Bland Farms grows in both Peru and Mexico are from the same seeds as those found in Georgia. The only difference being the location of origin as well as the time of year they are grown. "They are all from the same seed varieties," explained Cruz. "The regions in Peru we grow sweet onions - Ica and Arequipa - have very similar soil and conditions as found in Georgia. 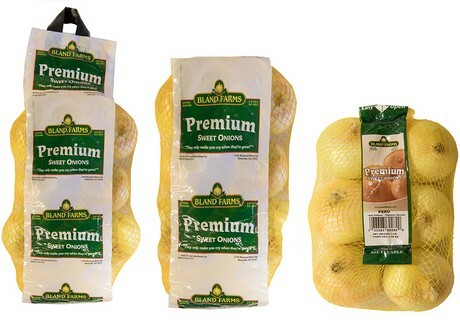 Bland Farms also grows the same seed in Mexico and together this ensures we have year round supply of sweet onions. However, only those grown in Vidalia are able to be sold as 'Vidalia onions'. Additionally, because we are a vertically integrated grower, we have a team of agronomists to make sure the quality is consistent regardless of the region they are grown in." Although the season has just finished, Vidalia onions are still at the forefront of Cruz' mind. He said that the Georgia onion seeds are currently in the process of being planted in the seed beds. There they will be nurtured until they are ready to be put into the ground just before winter and these will become the 2019 crop. "Right now we are preparing our seed beds in Georgia," Cruz shared. "Between September and November, the seedlings will be growing in the seed beds, before being put into the ground for the April crop. So far, everything has gone well for the new crop."